Good Evening! Happy Cyber Monday! I have to confess as much of an online shopper that I am ( I even buy groceries online!) I did not buy one cyber Monday deal. 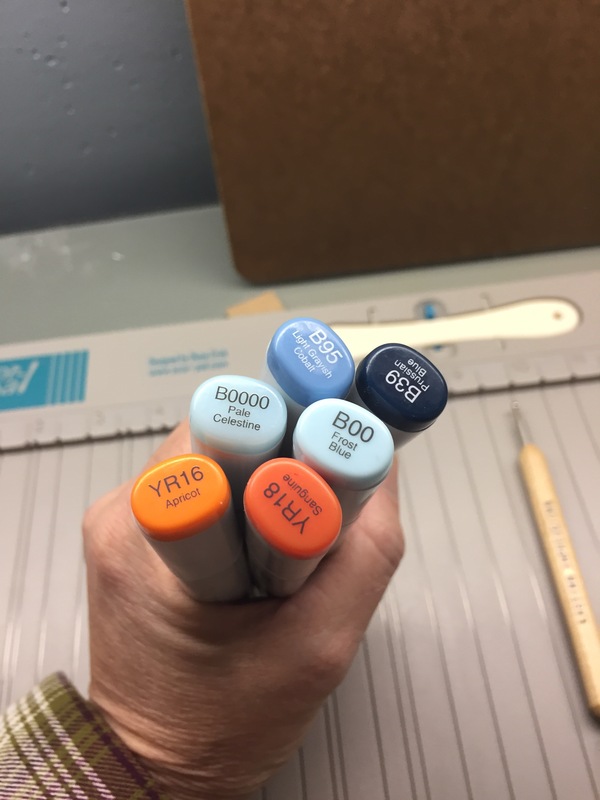 I can’t believe it😊 We started making stamps for the next show so I kept myself busy. We had some unexpected company for supper and the evening so no time to shop! 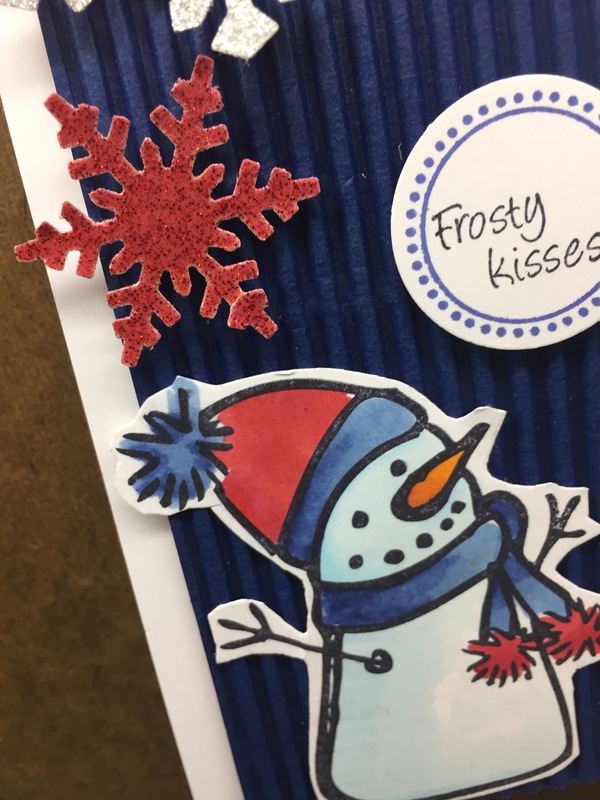 We made some cards this weekend using a lot of glitter paper. Sarah from The Paper Cut gave me a stack of it so it was time to start using it. 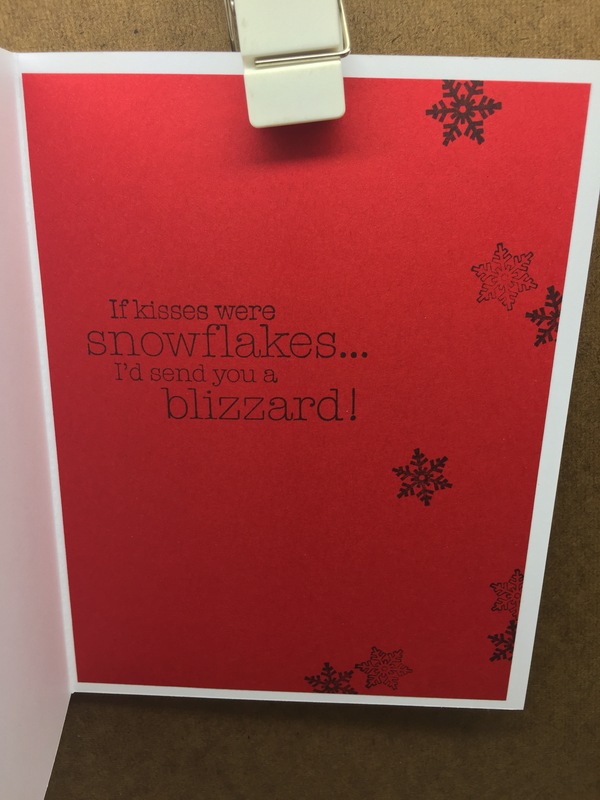 Love the card…. 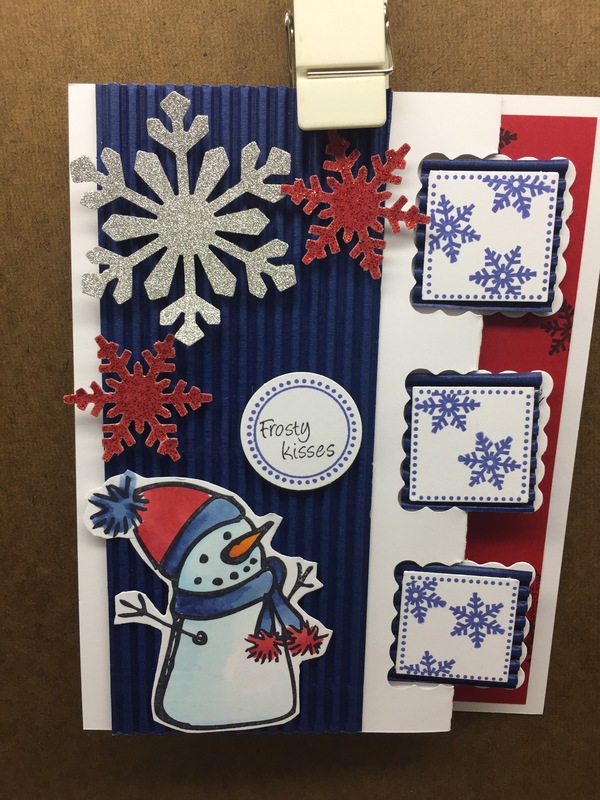 The glitter snow flakes and richness of the blue and red on the snowman make the card outstanding!